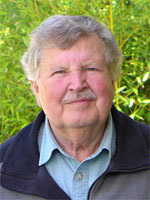 The Sea Ranch is internationally known and revered for its efforts to blend man-made structures with their natural setting. This most picturesque area of California, 100 miles north of San Francisco dotted with distinctive homes, spreads for about ten miles on either side of Highway One in the coastal Sonoma County. The building design is unique in its architecture, and the challenge to "live lightly on the land" is on-going. 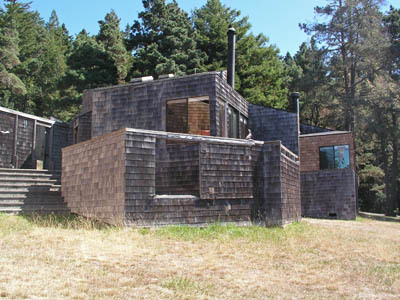 The "Honeymoon Cottage" was designed by William Turnbull, a member of the original group of UC Berkeley architects that worked on The Sea Ranch. It exemplifies their philosophy for blending buildings with their natural surrounding. 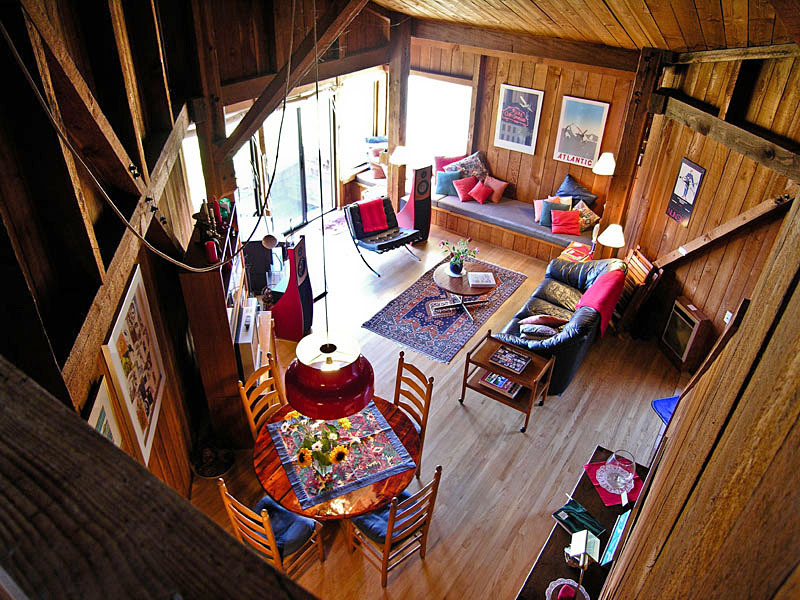 This Sea Ranch vacation home is of striking post and beam construction with rough hewn lumber. 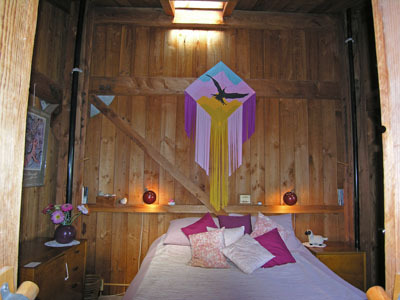 The furniture and decor inside are a blend of bright, warm colors, accentuating the wooden interior. For your convenience a writing/computer desk has been added recently. The home has a living space with very high ceiling and upstairs bedroom loft. It is well suited to the unique Linkwitz Lab Orion loudspeaker system that is set up in the cottage and which has made it a destination for audiophiles who are searching for the best in sound reproduction. 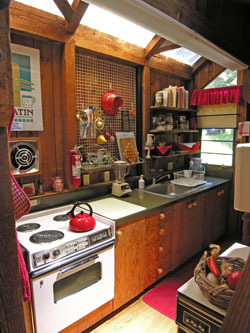 "Honeymoon Cottage" belongs to the Cluster Homes which border a large meadow that flows down towards the Pacific Ocean. 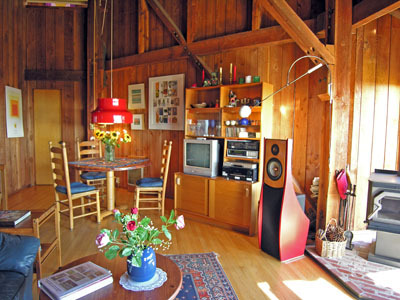 Behind this Sea Ranch rental begins the pine tree forested hillside with hiking trails and bicycle routes. 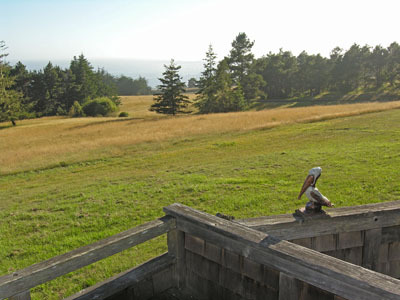 The wide open meadow is a natural surrounding for deer, rabbits, wild turkeys and other birds of every kind. Relax in a lounge chair on the deck and watch the wildlife move by. The ocean may be too cold for anything but wading due to its year-round temperature of 55 F (13 C), but with three swimming pools, saunas, tennis courts, a 18-hole championship golf course, and 45 hiking trails that meander along the coastal cliffs, through meadows and forests, there is no shortage of outdoor activity for your Sea Ranch vacation in the sunny yet temperate climate of this North Sonoma Coastal area. 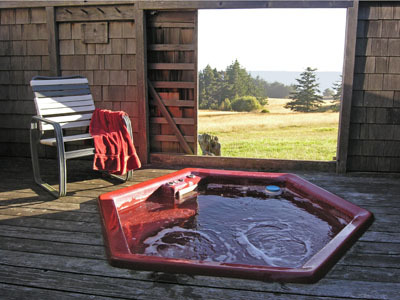 Or, soak in the hot tub on the deck of "Honeymoon Cottage" and watch the sun set over the ocean. Even the occasional winter storms, with their high winds and driving rains, become an enjoyable experience when watched through the window, and comforted by the warmth from a crackling air-tight wood stove, a good book and some snacks. The excellent Linkwitz Lab ORION+ sound system is an invitation to listen to your favorite CD, or even your iPod. These speakers have made "Honeymoon Cottage" a destination for audiophiles seeking the best in accurate sound reproduction. 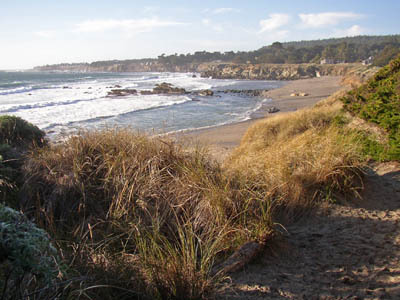 Take a gentle stroll of 900 yards to the Pacific Ocean. The Linkwitz Lab ORION+ loudspeakers are set up for CD, SACD, DVD-A, DVD, cassette tape and iPod sound sources. These loudspeakers exemplify high accuracy sound reproduction in terms of dynamics, timbre, and imaging for 2-channel recordings. Bring your best CDs or your iPod and enjoy. Hear for yourself whether this could be your last loudspeaker system. You have a unique opportunity, because Linkwitz Lab provides all the design information to build these speakers yourself. Alternatively, you could acquire them custom built, turn-key, and in the wood of your choice from Wood Artistry. Hear for yourself whether this is a loudspeaker system that is worth pursuing.